Good news - "Astronaut" will be getting even more airplay on Swedish radio P3 as the single has now been A-listed. He also stated that the person putting the most pressure on him is....himself, as he feels he constantly has to prove himself. 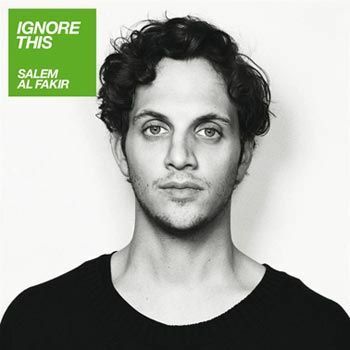 Salem said that, like "This Is Who I Am" he has written music and lyrics, recorded and produced the album himself, but has included some friends and also a guest appearance from the Swedish Radio Symphony Orchestra on one track (ooh, which one I wonder? "Purple Lady" or "One of the Others"? I hope!) He described his lyrics as very different and more playful, and the music reflects the happy and sad times he has experienced. He hoped that people would recognise this when listening to the album. That's all, I haven't had any other news to report this week but if I'll find anything I'll post it on the site as usual. In the meantime don't forget there are two very important things happening next Wednesday = one is the release of the "Astronaut" single in Sweden, the other is Salem's appearance on SVT's "Popcirkus". I just realised that this will be his first Swedish TV appearance since last May's "Humorgalan" (correct me if I am wrong) as his other more recent appearances - P3 Guldgalan press conference and Rockbjornen - were internet-only. "Astronaut" is now B-listed on Swedish radio P3's playlist, so it should be getting quite a lot of airplay. I'm still surprised and confused that "It's Only You Part II" didn't do better in the Swedish singles chart. Maybe this was due to the lack of promotion/TV appearances etc? Hopefully "Astronaut" will do much better and Salem will do lots of TV to promote it.....I wonder when we'll get to see the video? There's a clip at http://www.youtube.com/watch?v=YNOmkUYgS3Y of Salem playing 'Someday' on the piano at Euphoria Studios in New York. Whilst I'm on the subject I had wondered why "Someday" is not on the published tracklisting for the album. I really thought this would have been there, particularly as he played it live recently at the P3 Guldgalan press conference. Does anyone know what's happened to this song? Some familiar titles (tracks 2, 4, 7, 8, 9, 10 and 11) but a few unfamiliar ones too. Great to see "One Of The Others" there as it's my absolute favourite. Yes I've finally booked my tickets, flights and hotel and I'm coming over to see Salem in concert in Gothenburg!!!! Words can't describe how happy I am tonight - but you can imagine!! Everything being well, I should finally be able to book my Gothenburg tickets and trip tonight. Got a reply from Ticnet which was positive, although I was out last night and when I tried to make a late-night booking their site was closed. Thanks for all your messages of support, I also received a very helpful email from someone who's doing the very same thing I'm doing. Once again...thank you all, much appreciated. Yes it's that time again when we count down to the release of Salem's second album. I remember "This Is Who I Am" being released in Norway around the end of 2007 so it's good to see the follow-up getting a quick release. I don't have any news about an international release (apart from Sweden/Norway as yet) but I'm sure this will happen at some time - if anyone has any news please leave your comments here. No news yet about my Gothenburg tickets. Sorry if I go on and on about this, I know you all visit this blog to know about what Salem is up to rather than what I'm up to, but I need to get this out of my system. I know it's only been a few days, but I still haven't had a reply back from Ticnet about arrangements for collection of the Trädgår'n (Gothenburg) tickets. I will get in touch with them again before the end of the week and if I don't receive a reply then I may just have to give up on the idea of going over to see Salem play live this time :( even though this was and probably will be the best chance I'll get to see Salem play a concert in his own country, in front of his own fans - the people who know, love and appreciate his music most of all. This is the fourth time I have attempted to see Salem live - I tried to get to Gothenburg in 2007 and 2008, also to Stockholm in 2008 but there were other reasons why I couldn't go. Salem - if you are reading this, then I'm sure you will understand that (as I'm your unofficial international blogger), I really want to see you play live so that I can then tell the world all about it on Planet Salem. Hopefully I will have good news to report soon, sorry I'm feeling a little down about this tonight :(( In the words of Salem himself, "I wanna thank you all for listening". On the bright side, tomorrow is Wednesday so that means "Countdown to Astronaut" time again, and I'm getting more and more excited as the weeks go on. Salem has redesigned his MySpace site www.myspace.com/salem, it's now in a pale-grey colour scheme with his name written in the typeface used on the "Astronaut" single and album. I'm still hoping that I can get this Gothenburg ticket issue resolved very soon, so that I can go to see Salem's concert. I wonder if I'll hear anything today? I won't be able to find out until tonight as I'm at work and won't be able to get access to my email till I get home. I'm getting quite impatient as I need to find out one way or another!! Congratulations Salem....already almost 600 plays on Salem's MySpace in just over 24 hours. When will the video be on YouTube or SalemTV? 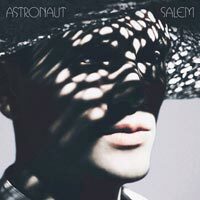 Here is the album cover for "Astronaut" which I finally found at http://www.ginza.se/ and http://www.cdon.com/. I said in an earlier comments thread that I didn't really like the single cover, but the album cover is better, and still quite "mysterious" don't you think? 1. I wonder what other tracks will be on the "Astronaut" single? 2. Does anyone know when the album tracklisting will be available? Maybe within the next couple of weeks? Today I had finally hoped to book my tickets, flights and hotel to come over to see Salem's concert at Trädgår'n in Gothenburg in April. I've emailed Ticnet to clarify this and to ask if there are any other options available, and I'm waiting on a reply from them. Hopefully it won't take too long for them to get back to me so that I can book the tickets and then get the flights and hotel booked. (I only hope that the flights don't sell out too soon). ...hopefully I should have some big (personal) news tomorrow: anyone who's been following this blog in recent weeks should have an idea what it's about, but I'm not saying anything till it's confirmed. Found a new picture of Salem. 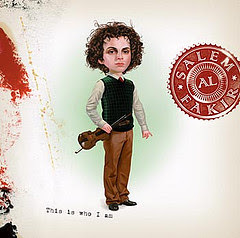 If you go to http://lestudiosthlm.blogspot.com/2009/02/salem-al-fakir.html you'll see a nice new photo of Salem, with yet another new look... The blog post also mentions that there will be more to follow in a forthcoming issue of Damernas Värld magazine. It looks as if the proposed release date for the "Astronaut" single meantime is 4th March, again not confirmed though. EDIT: Thanks for the info: "Astronaut" is now out on 18th March. This week's news: as mentioned in comments in the previous post, Salem will be appearing in the new Swedish television live music show "Rockcirkus" on 4th March. The show will be available to watch on the internet. I'll mention it again on here nearer the time. And to all new visitors....welcome! I didn't write anything for a week as there was no news, but that's changed over the last few days, with the radio appearance and the world premiere of "Astronaut" so I just had to write about that. What a fantastic song by the way, and I can't wait for the album. 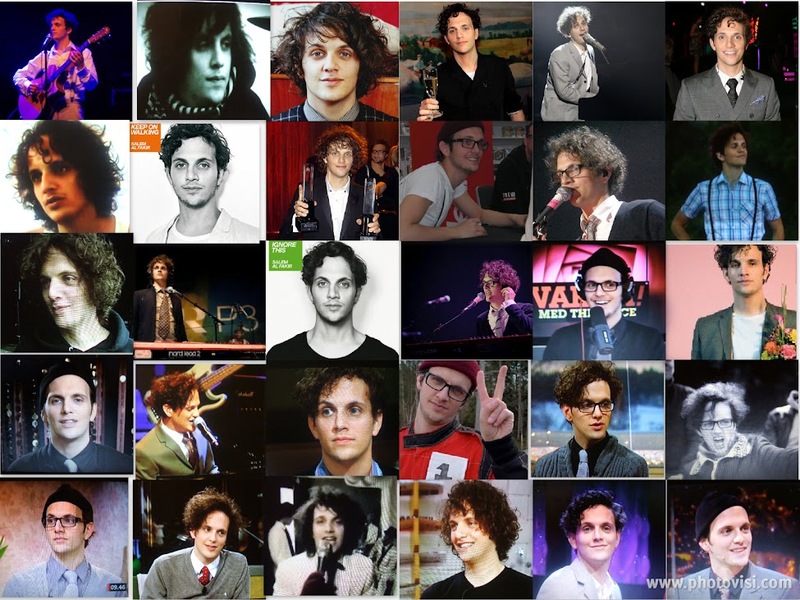 I'm going to be very busy with this site when the album is released. Planet Salem continues to go from strength to strength and it now has visitors from all over the world. I hope that you continue to enjoy what you read on this blog: it certainly gives me a lot of enjoyment to write about you and your music. (I'd also like to thank my "helpers" from Sweden who give me any information which I might not know about - it's much appreciated). So we had the world premiere of "Astronaut" on Swedish Radio P3's "Morgonpasset" on Friday. Wonderful, I think you will all agree???? Edit 08.02.09: I'm listening again (link in previous post) and I just love the way the song starts off with the acoustic guitar and then the keyboards come in, I love the echo on Salem's voice and the sparse, spacey production. And most of all I love that little bit in the middle when it stops, then there is a drumbeat and then "she left him to be with me...." and the strings come in and the harmonies and awww....how gorgeous is this song? You will have to forgive me if I get a bit excitable over the coming weeks!! Radio appearance today - did you hear it? As I said in my earlier post I wasn't able to hear Salem live on Morgonpasset today, but I will check it out this weekend. If you heard the show why not tell us what you think and leave a comment. I'd also appreciate if someone could translate what he said in his interview. Edit 08.02.09: there's a couple of clips been posted at YouTube (by P3). At http://www.youtube.com/watch?v=lq4Hk_8xsy8 you can see Salem fooling around in the studio and being swept off his feet - literally - by one of the presenters. There is also a clip at http://www.youtube.com/watch?v=D-1OlPCxy08 with Salem and the presenter doing a silly little song. And some body contact! You can also listen to Friday's Morgonpasset show at http://www.sr.se/sida/Sandningsarkiv.aspx?ProgramID=2024 click on the link to Friday 6 February's show. It's split into 6 parts,just go to the end of each one until you reach part 6 where you can find the interview with Salem, and the world premiere of "Astronaut" is about 11 minutes in. You will not be disappointed! It's the "calm before the storm" just now, I expect Salem is rehearsing for the tour and getting ready for all the promotional appearances and events around the release of the album. So, as there is no news at the moment I thought I'd begin my weekly countdown till the release of "Astronaut". If anyone out there finds out about any forthcoming Swedish TV/radio appearances please let me know - I wonder what TV shows he will be appearing on to promote the album? I notice there's a new live music show on SVT called "Popcirkus" which I've been watching on the internet. I'd love to see Salem appearing on that show soon. EDIT 05.02.09: If you haven't read the comments for this post, then here's a reminder that Salem will be on Swedish Radio P3's "Morgonpasset" tomorrow (Friday) morning and playing his new single. I'll be checking it out later and I'll do a separate post about this.